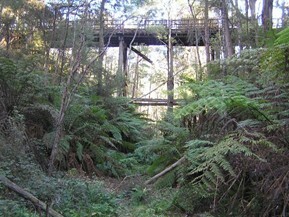 This trail is part of the Warragul to Noojee branch line which is also home of the impressive trestle bridge not far from the town of Noojee. The Noojee line was opened in sections from 1890 to 1919 and closed between 1954 and 1958. Many sections have since been sold off. 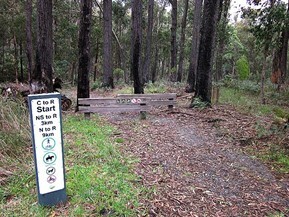 Starting at Rokeby, north of Warragul, this trail follows the original formation for 4 kms to an area called Crossover where there is another wooden bridge over the railway formation. 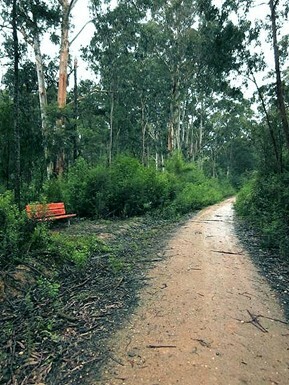 From Crossover the trail deviates from the formation and follows the road reserve for 3 km to Neerim South, then to Neerim, another 5.6 km, with views of the railway formation and surrounding hills and valleys the whole way. 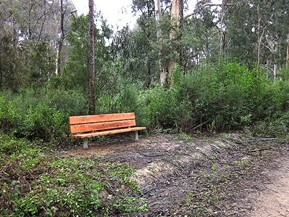 There are seats on the Rokeby to Crossover section spaced at 1 km intervals along the trail for the comfort of the weary traveller. 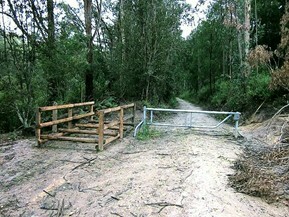 This trail is on the same former railway line as the Noojee Trestle Bridge Rail Trail. 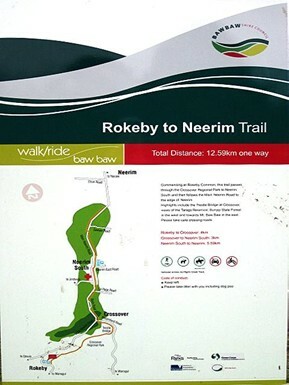 The extension is now complete and named 'The Rokeby Fauna Reserve, see the map above. This extension will take the trail from Rokeby along the old rail line easement towards the old station area of Bravington. It runs between Brandy Creek Road at Rokeby and Old Telegraph Road West. 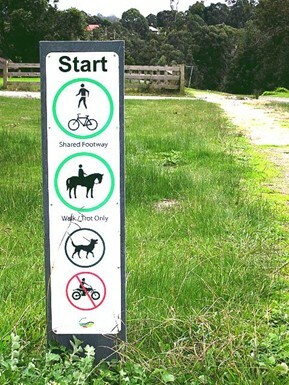 The project involved the re-establishment and upgrading of the entry to the trail at the Rokeby end and was completed with help from the Baw Baw Shire, Parks Victoria and Melbourne Water.